Chandler Carr is a lively and bright 11-year-old boy who loves science and gets a thrill out of making others laugh and smile. Throughout his life, he has been small for his age and was noted to have slow weight gain by his pediatrician. 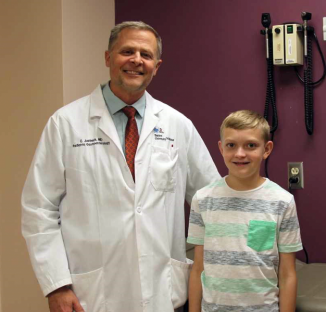 At the age of nine, Chandler’s pediatrician ordered a blood test screening that first indicated Chandler could have celiac disease - an autoimmune disorder that damages the small bowel. 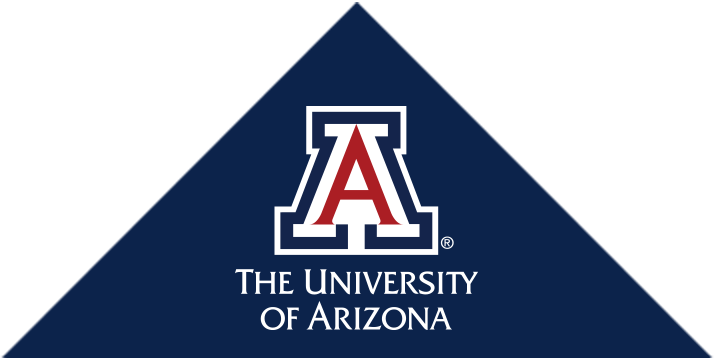 His diagnosis was confirmed after undergoing a short endoscopic procedure with small bowel biopsies performed by Steele Center gastroenterologist, Dr. Christopher Justinich. He was able to give Chandler and his family reassurance about the celiac diagnosis and living “gluten-free for life”. Dr. Justinich believes in empowering his patients to embrace their diagnosis and take responsibility in following a strict gluten-free diet. Chandler has since adapted to living a gluten-free life as eliminating gluten from the diet is the only known treatment for celiac disease. Gluten is a protein found in wheat, barley, and rye and can transfer to other gluten-free foods – often referred to as gluten cross-contamination. Chandler’s parents, Cyndi and Jerod, work hard to avoid accidental gluten cross-contamination but recognize it is a daily risk. Chandler’s family – including little sister, Caitlyn – remain cognizant of this risk as they prepare their own food at home and when venturing out to new restaurants. Chandler’s mom has made room for gluten-free food shelves in their pantry, which also store a toaster and cutting board designated for gluten-free foods. Caitlyn has even saved Chandler’s toaster from an accidental gluten cross-contamination by the babysitter. When going out to eat, the family diligently searches the menu for gluten-free options and ask servers if they can accommodate a gluten allergy. Since being on a gluten-free diet, any accidental gluten consumption sends Chandler into a fit of digestive discomfort and a sour mood that, unfortunately, only passing time can alleviate. His symptoms usually resolve within a few days, though, it is important to note people with celiac disease have varying symptoms and reactions to gluten. Chandler and his family encounter obstacles and risks like these on a daily basis. However, as a family, they have embraced Chandler’s diagnosis and they are able to work through obstacles and tackle risks together. Chandler admits he was sad to know he couldn’t eat some of the favorite foods he did prior to diagnosis. Over time and through trial and error, the family has found many Chandler-approved gluten-free substitutes for most of his favorite foods - like garlic bread and pizza. Chandler has also gotten used to skipping the cafeteria food line at school and bringing his own gluten-free lunch from home. He even gets excited about packing his own gluten-free treats to bring to birthday parties, as most birthday cakes are not gluten-free. Mom and dad also enjoy making root-beer floats for the whole family to enjoy. Chandler’s parents acknowledge that adhering to a gluten free diet can be tough at times, but life really is better knowing what foods he needs to avoid. Chandler has responsibly followed a strict gluten-free diet for two years now and is happy to report he feels better than he ever has – so much so that we were able to snap a happy picture of him. His parents mention he never smiled in photos before his diagnosis. They have since seen significant improvements in his mood and behavior as well as healthier weight gain. Chandler is more than confident that he will fulfill his dreams of becoming an airplane pilot one day - even with celiac disease. By sharing their story, Chandler and his family hope to raise awareness about celiac disease with the vision that gluten-free food options will become more universal, that eventually there will be physician-approved treatments for gluten cross-contamination, and that someday there may be a cure for celiac disease. Here at the Steele Children’s Research Center, we hope to help bring visions like these to life, as we are passionately dedicated to improving children’s health through patient care, pediatric medical student and resident training, and a wide variety of research projects. Join us as we continue to recognize National Celiac Disease Awareness Month at the Steele Children’s Research Center.